Insect and Disease Management - Greenlink Inc.
Greenlink utilizes an integrated approach to manage damaging insects in the landscape. Targeted treatments are performed with consideration of insect lifecycle, populations, and weather conditions. Chemical control is the last resort to manage damaging insects, with the exception of some invasive species. Creating an environment with a diversity of beneficial insects and less opportune feeding or living environments is the responsible solution to long-term control. Most damaging insects and diseases are the opportunist and thrive on poorly managed or stressed landscape trees and plants. 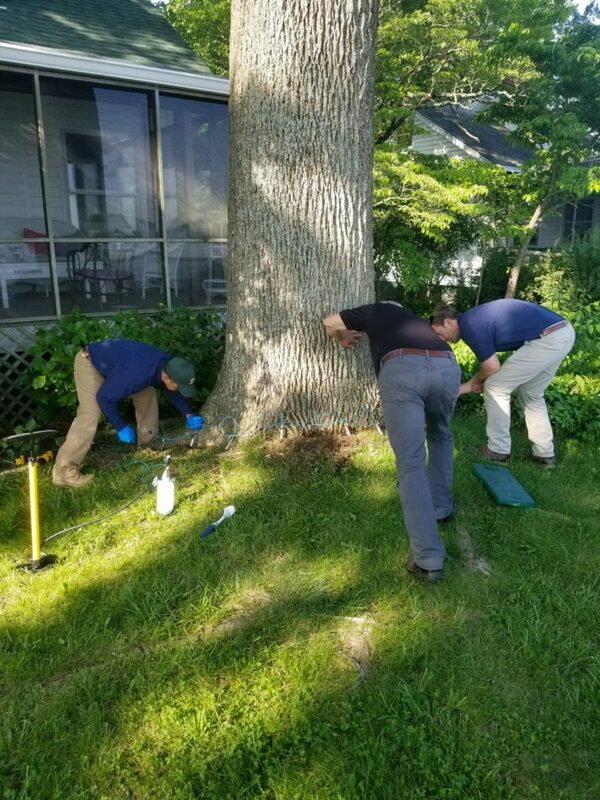 Contact a Greenlink arborist to assess your property and provide sustainable solutions for insect and disease damage. Contact us now so we can get started!